Courtney Umbarger '08 (agricultural technology) and Laura Flory '09 (dairy science) have much in common. Engaging and authentic, they are dedicated practitioners committed to agriculture as a vocation and a way of life. A voice for women in agriculture and a source of inspiration to aspiring first-generation farmers, Umbarger and Flory represent a new generation of millennials who are integrating technology, passion, and purpose to reimagine the agricultural landscape. Their initiative and bold decisions have redefined their businesses and impacted their communities. Like many working mothers, Courtney Umbarger '08 has a gift for navigating the details and to-do's of her life with diligence and care while maintaining an unwavering focus on the big picture. A passionate advocate for farmers and children, she exemplifies an agricultural model that is inclusive, equitable, and educational, and she is beginning to see the seeds of her vision take root. Umbarger and her husband Seth '03 (dairy science) live on some 370 acres of family land in Virginia. 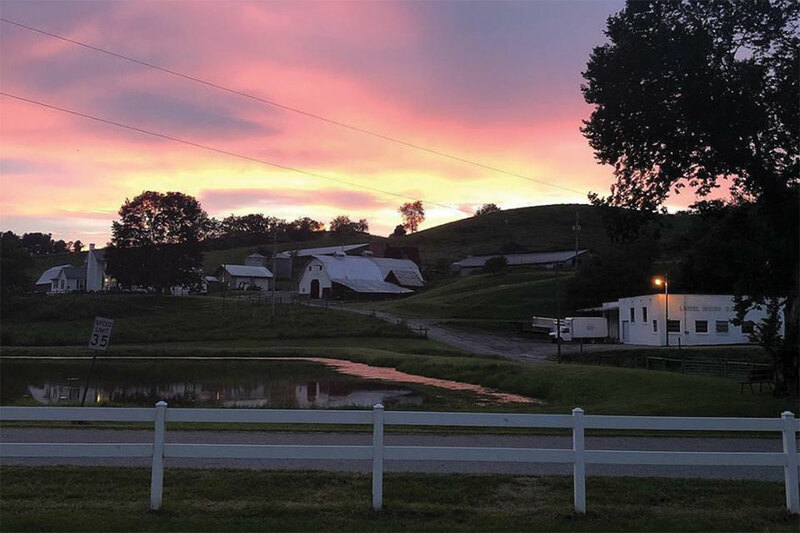 "Our farm was the oldest dairy in Smyth County," she said. "Seth is a fifth-generation dairyman. He milked for 10 years until 2013, when he and my father-in-law decided to sell out. Seth had always had a beef herd on the side, so it made sense to expand that venture." Today, the Umbargers farm 1,100 acres, of which roughly 66 percent is rented. Their operation, Laurel Springs Farm, is also a value-added small business. The couple offers all-natural, pasture-raised, grain-finished beef, much of which is sold to a Whole Foods Market supplier. 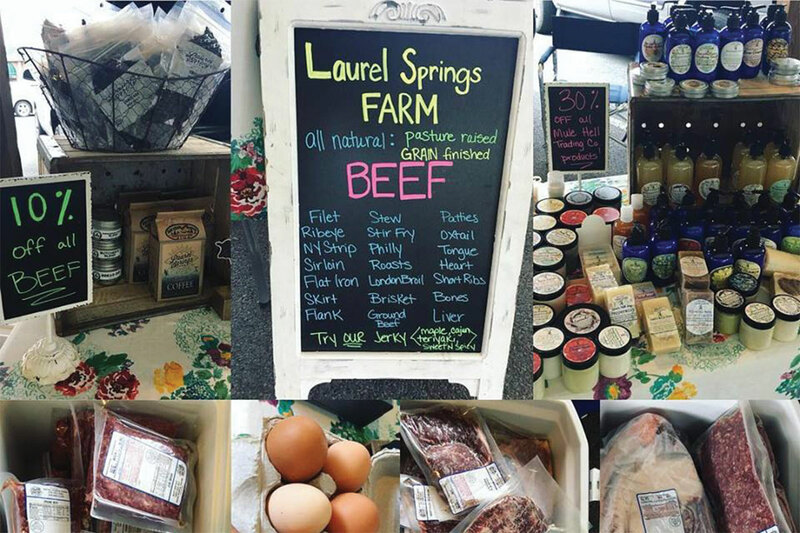 Laurel Springs beef is also marketed in the Umbargers' farm store, at three local farmers markets, and to Virginia restaurants. "Our industry will always need and welcome forward-thinking, innovative, hard-working women." Umbarger also hopes to bring beef and other locally grown foods into the school system. In what she considers her biggest project, Umbarger has been working with the Virginia Department of Education to change schools' food purchasing practices. Although a small percentage of the state's budget is allocated for local foods at public schools, Umbarger believes that encouraging school systems to purchase more locally sourced proteins and produce will have wide-ranging impact, stimulating local economies, supporting farmers, and educating children about the sources of their food. 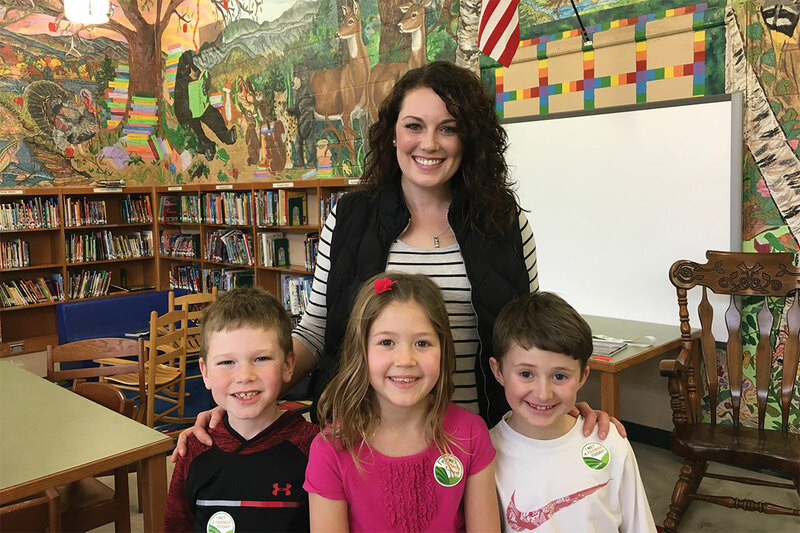 Recently, Umbarger's efforts earned her designation from the National Farm to School Network as an area farm-to-school leader for her region. This fall, 13 public schools in Smyth County will serve beef patties from Laurel Springs Farm. "This was a huge partnership and success," Umbarger said. "We are constantly building relationships with school systems to promote education on where students' food comes from and to encourage them to provide fresh, local beef. We hope this will open more doors to provide children throughout the state with nutritious, locally raised proteins." The mother of two sons, Corbin and Henry, and Seth's daughter, Addie — whom Umbarger affectionately refers to as her "bonus daughter" — the 30-year-old knows a thing or two about beef, business, and family. "I maintain the accounting, marketing, and wholesale accounts and share the responsibilities of retail sales with Seth. I wrangle our children and also oversee our goats, Lucy and Ethel, and a flock of laying hens. We host field trips for elementary schools, and I organize a farm-to-table fundraising dinner in Marion, Virginia, each year to benefit the farmers market." Umbarger is deeply committed to children's education and is an active volunteer in her community. 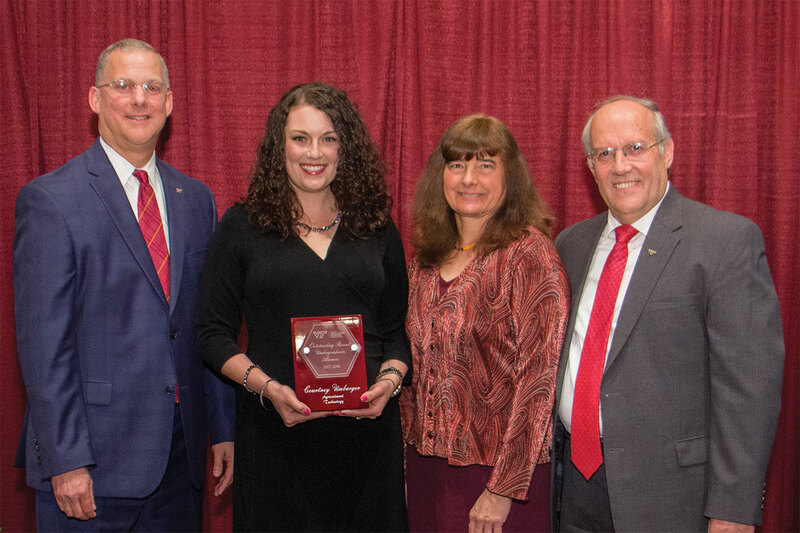 Umbarger received the 2017-18 Outstanding Departmental Recent Undergraduate Alumni Award from the Agricultural Technology Program last spring. She is shown with Alan Grant, Dixie Watts Dalton '86, '89, and Pavli Mykerezi. Despite her range of responsibilities, Umbarger is modest about her contributions to the farm's success, contributions defined by early mornings and long nights, her commitment to pursuing business training and entrepreneurial opportunities, and the challenges of maintaining balance — as a mother, business owner, housekeeper, chef, taxi driver, philanthropist, and jack-of-all-trades. "I wear many hats, as we all do, and each day is unexpected. I'm a planner, but being a mother and a farmer is hard on a planner. The weather alone makes this nearly impossible. Sometimes, I feel like if everyone is fed and bathed and we sold some beef, I'm absolutely winning. I have struggled with being treated as inferior because I'm a woman in agriculture. Luckily for me, it has been limited, and I have been able to rally with a fantastic support system of farmers, women and men alike." Generous in her praise of those whose guidance and inspiration have eased her journey, Umbarger believes that "all women in agriculture are inspiring, no matter what their role. They all are working towards a common goal — preserving and promoting agriculture." In particular, Umbarger credits her former teacher Rachel Kohl '00, '02 (animal and poultry sciences, dairy science; dairy science), a senior instructor in CALS's Agricultural Technology Program, with playing an instrumental role in shaping a solid understanding of agriculture. "She demanded effort and attention to detail and taught hands-on experiences that have been key in my life to this day," said Umbarger. "She brings her beef and sheep management class to visit our farm. I love it when life comes full circle!" "Rose Jeter gave me the best advice. She told me to pick one thing to work on and do it well. Once I did that, then I could try adding something else to our operation. She is so right! I have tried something different each year and found what works for our farm, family, and community. Plus, with young ones, I don't want to work away their childhood. We are back to the basics and focusing on the beef cattle." "Set them! Put them up on a board in the kitchen so you have to look at what you're working towards each day. When you hit those goals, it is such a good feeling. Don't give up. If you have a passion for agriculture in any shape or form, pursue it! Our industry will always need and welcome forward-thinking, innovative, hard-working women." 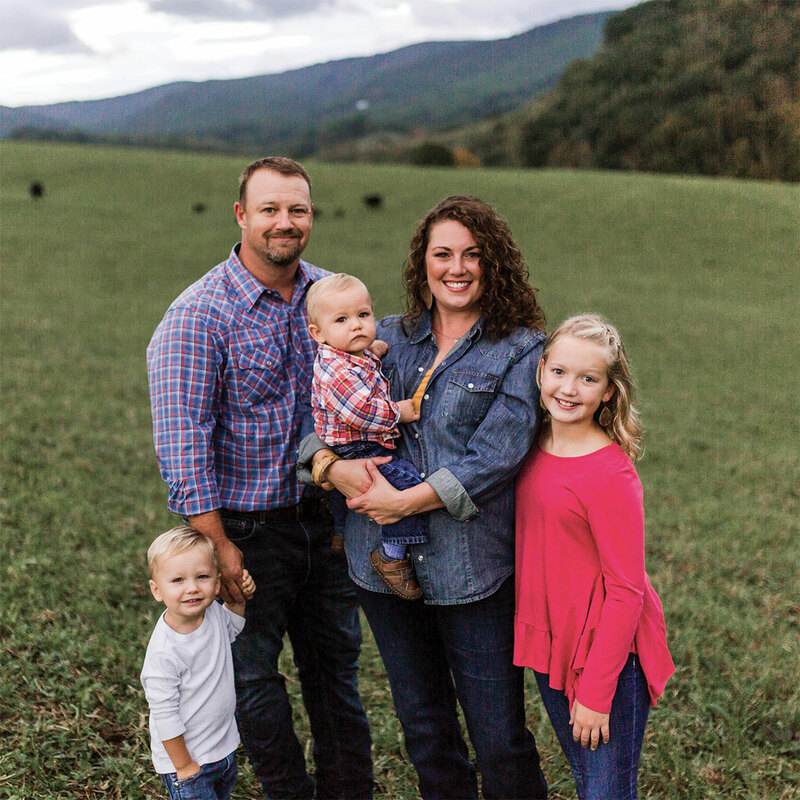 "I would love to be able to process every animal raised here through direct sales, purchase more land if possible, and strengthen the relationships of Virginia cattlemen and cattlewomen to increase income for small family farms across the state." Learning has long defined Umbarger and influenced her business decisions. A small business boot camp course led to a farm business plan that earned her a start-up grant. Subsequent courses through Virginia Farm Credit and Virginia Cooperative Extension have helped garner additional funding and have shaped Laurel Springs' value-added offerings. But what really fuels her is a passion for sharing her lifestyle with others and a commitment to making life better for local families. After learning that 18 percent of her community lives in poverty, Umbarger and a fellow mom brainstormed a farm-to-table event, now an established tradition that brings together Smyth County residents to raise money for the Marion Farmers Market. Following this success, Umbarger and several partners implemented a children's program modeled after similar initiatives at Virginia's Fauquier County and Abingdon markets. "On the second Saturday of every month during the market season, we put together an educational program that is free for kids under 12," Umbarger said. "If they participate, they receive $5 in tokens that can be spent on produce, proteins, and canned goods. We are promoting purchasing locally and seasonally and making healthy choices at a young age — at no cost to the child or parent." 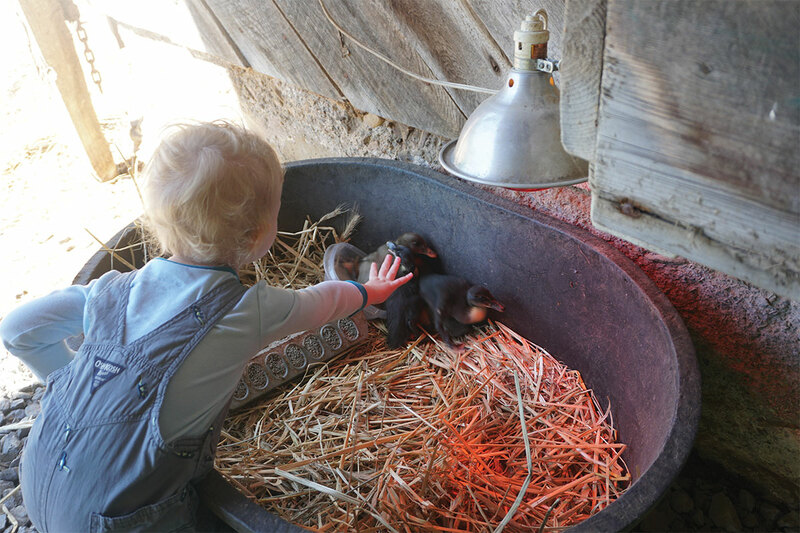 Her efforts continue at Laurel Springs where the family hosts field trips to show children where and how their food originates. "They get to plant a seed and to pet a goat," Umbarger said, "and they can see that eggs come from chickens, milk comes from dairy cows (we have one left, Henrietta), and beef comes from cows — all of whom live on a farm." 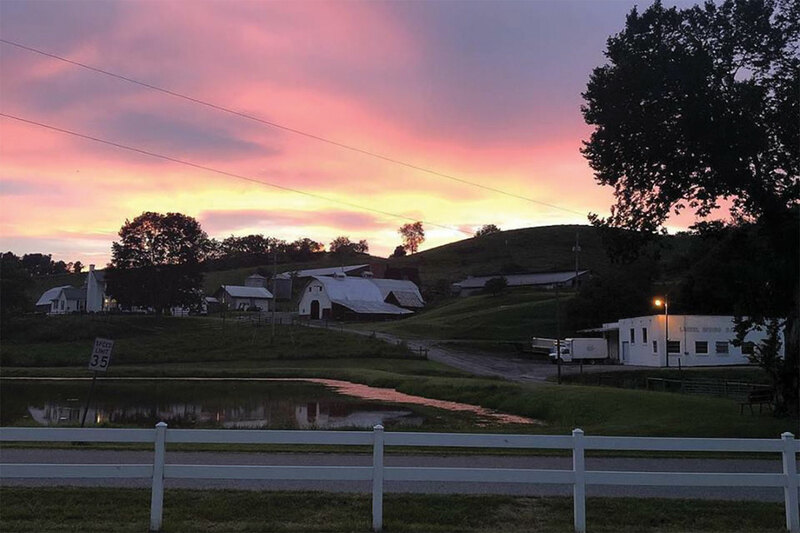 Pastoral and plain from a distance, Laura Flory's dairy farm in Pulaski County, Virginia, is virtually indistinguishable from any other. 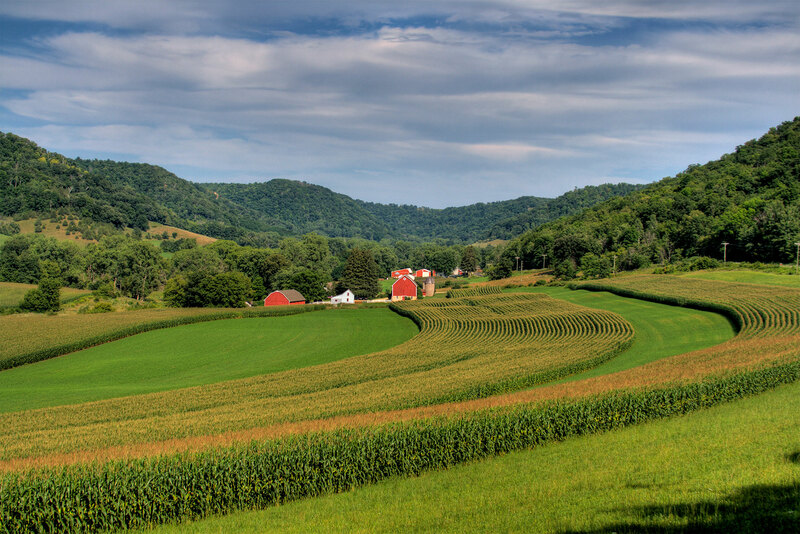 A handful of sizeable — though otherwise unremarkable — red barns crest a rolling green landscape that folds into the foothills of the New River Valley. But inside the largest barn, a cacophony of whirring, clicking, and mooing heralds great progress and promise. Several hundred dairy cows in various states of repose line one side; and on the other, rows of titan-sized computers flank robotic milking systems. Ignore the mooing, and the scene conjures up Willy Wonka's chocolate factory, stocked with some of the finest technological wizardry the Silicon Valley has to offer. Much like her family's 800-acre farm, there is more to Laura Flory '09 than meets the eye. A dreamer by her own admission, Flory grounds her aspirations with a business acumen and abiding pragmatism that enable Hillside Farm to thrive. 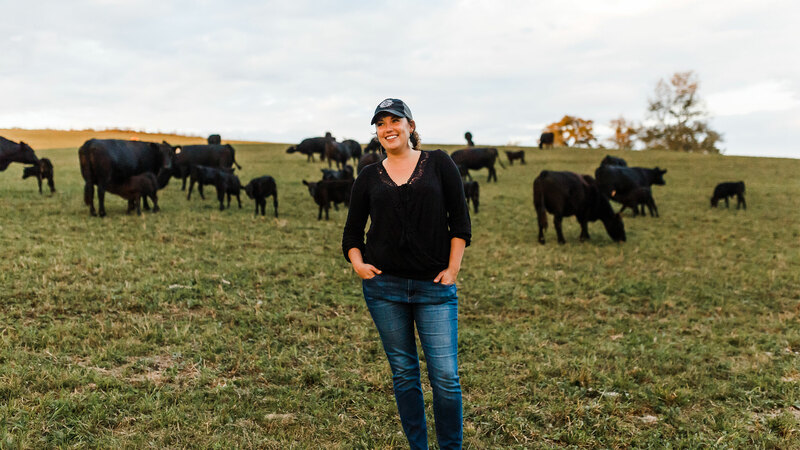 Determined and wise, warm and mindful of people and animals, the first-generation farmer is an engaging spokesperson for the modern world of dairy, and she's committed to changing the face of agriculture — one glass of milk at a time. 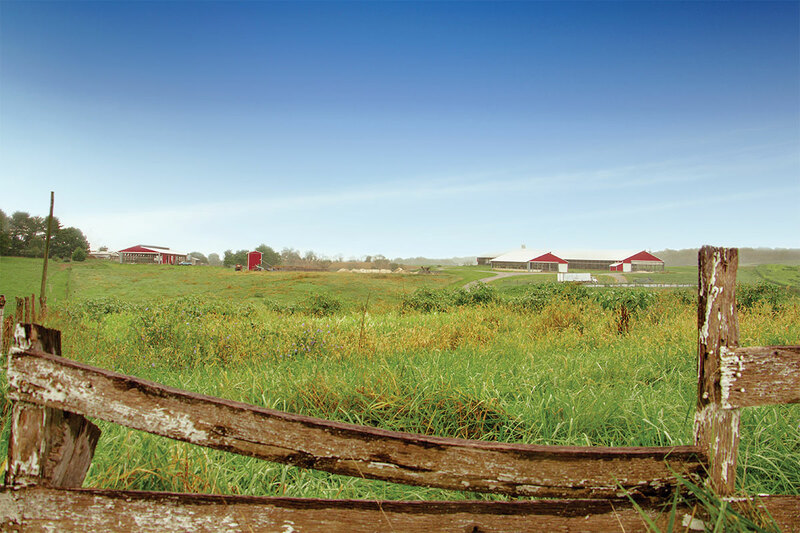 "I would love to be able to incorporate storytelling into our business model, moving more into an agritourism venture," said Flory, whose marketing savvy is underscored by a respect for her dairy farming forebears. "Whether people buy our milk or someone else's, I want them to know where their food comes from. "Our tours show that farming is not what it used to be — it's that, and so much more. People get to see the breadth and depth of what farmers do and to know why we are here and what we contribute," Flory said. "My overarching dream is to combine my love for people and storytelling with my love for business, keeping it real-life and true. It's all about connection, and that includes knowing which cows are which." With her husband, Scott '08 (dairy science), and his parents, Dale '78 (dairy science) and Janet '79 (animal and poultry sciences), the Florys oversee a milking herd of 240 Holstein cows on 500 acres, leasing another 300. Four years ago, they implemented free-choice robotic milk systems, eliminating manual milking and allowing the family to double its herd without increasing its workforce. 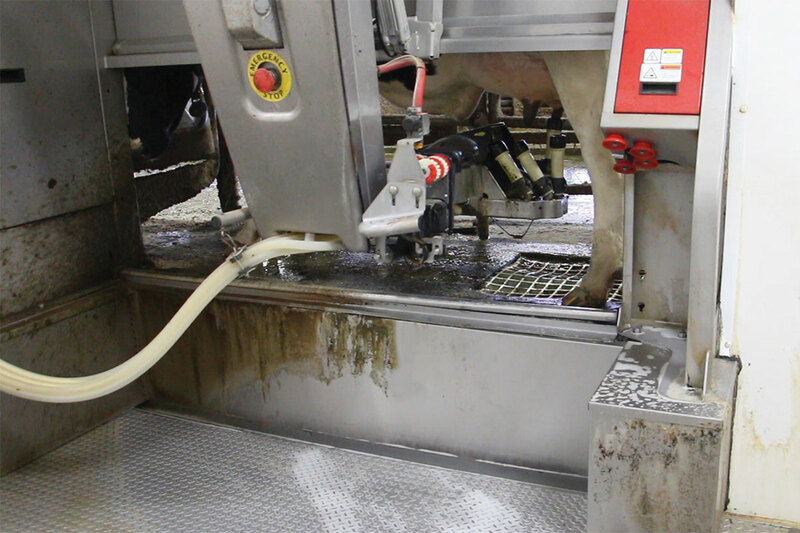 Since the transition to robotics, Hillside — one of 11 farms in the state to have adopted the technology — has seen a 15 percent increase in milk production. Juno the robot journeys up and down aisles organizing feed for the herd. "Farmers are at the forefront of technology and environmental stewardship, and we don't get credit for it," said Flory. "Those who came before us made it possible for us to sit here and to push the cutting edge. So, there is a legacy to honor. At the same time, being open to change is critical in the current marketplace. This new, fancy equipment costs a lot, so you have to use it wisely." To that end, the Florys use technology and engineering to support maximum energy efficiency. Fans and curtains guided by heat and humidity sensors keep the barn cool, turning on and off as needed. 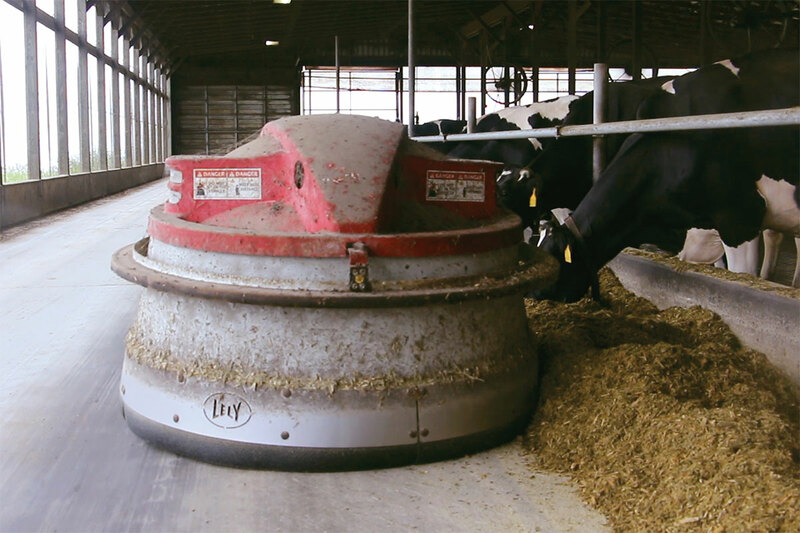 An automated flush system sweeps away debris and manure, which then fertilizes fields. A large spherical robot named Juno glides down the aisles, organizing feed for the animals. Sand is recycled as bedding in resting stalls. And the animals? Computer chips monitor benchmarks for each cow's health, including how much she eats, how many times she has given milk, and her body temperature. The technology allows Flory to quickly identify and dedicate time to the cows who require attention. "We get 100 data points per cow per day," said Flory. "You have to balance the flow of information coming 24/7 with analysis. To do this job, you have to be a jack-of-all-trades, which includes everything from barn cleanup to accounting decisions to punching in numbers to public relations to animal husbandry to parenting. The later includes teaching our two-year-old daughter, Sophie, how to live on a farm, as well as normal preschool parenting." "People are a big inspiration. I like sharing real-life stories that are honest, and I like bringing people together. These inspire my decisions and my outlook. I am also inspired by animals. I like figuring them out. They can't tell us exactly what they need, so being able to read into their behavior and their signals is important to me and interesting." "Photography and writing. My true love is storytelling; I want to get back into it. Now, I want to share stories with my daughter." 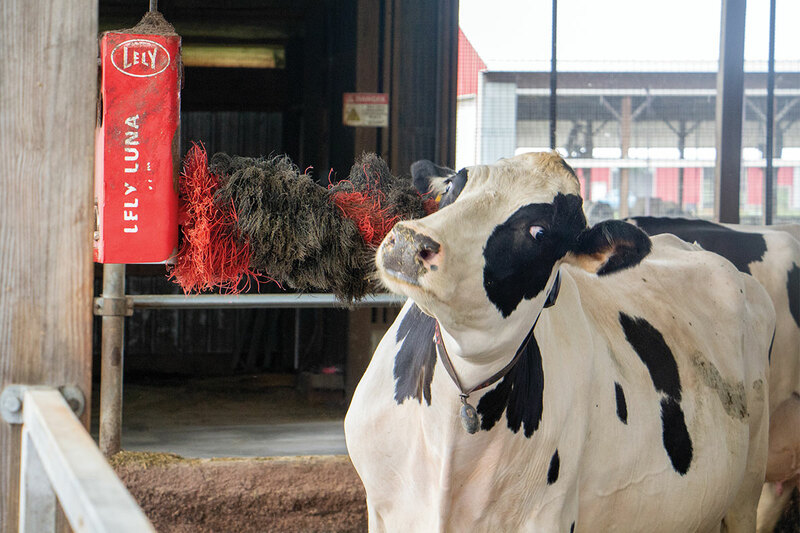 Unlike many of her dairy science peers, Flory did not grow up in a farming family. The daughter of a banker, she was raised in nearby Draper. In the county's 4-H program, she was given the opportunity to connect with animals and, it turns out, her future husband, Scott. "I came out here with him and began working at Hillside Farm part-time. I started feeding calves and grew in my responsibilities along the way," said Flory. 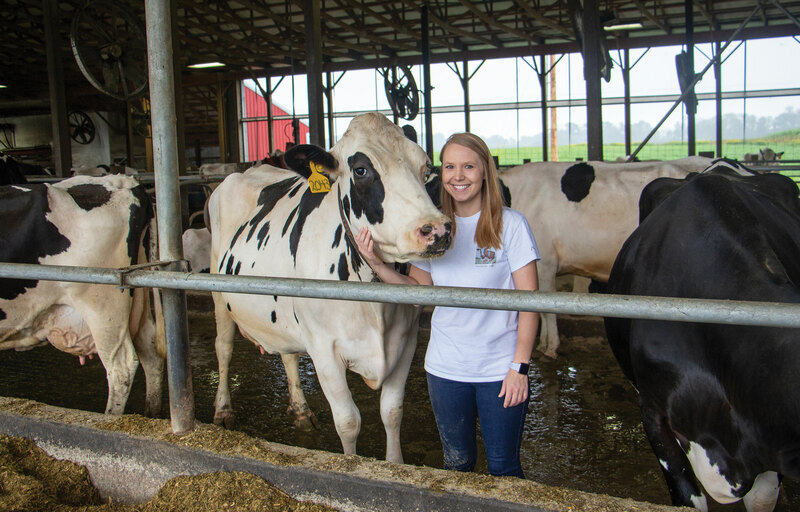 She later attended the Governor's School for Agriculture program, completing her first year of college while in high school, and then earned an undergraduate dairy science degree in two years. "I took what I was learning in the classroom and absorbed it right away because I could practice it," said Flory. "This changed my outlook about how learning happens. My experience at Virginia Tech also provided me with people and resources. If I didn't know the answer, I had someone I could email or call. Being part of a larger knowledge base was really important." It's a lesson that Flory has taken to heart. "Motherhood taught me that I can't do it all, be it all. I get now that you have to lean on other people," said Flory. "Scott and I have become good learners together. We both bring our best skills to the table, and we complement each other well. We are also blessed to have the support of our families. It's hard to balance what the priorities should be. Since our daughter was born, we have to be more conscious of when work ends and when the fun, family time begins. At the same time, these things are beautifully intertwined." This nonprofit organization provides educational programs designed to strengthen women's roles in the modern farm enterprise. This Virginia Cooperative Extension Program supports the Annie's Project initiative in Virginia. We want to hear about CALS women in agriculture! Post your photos and stories to social media using the #CALSWomenInAG hashtag so we can share your story.